In pursuant to clause no. 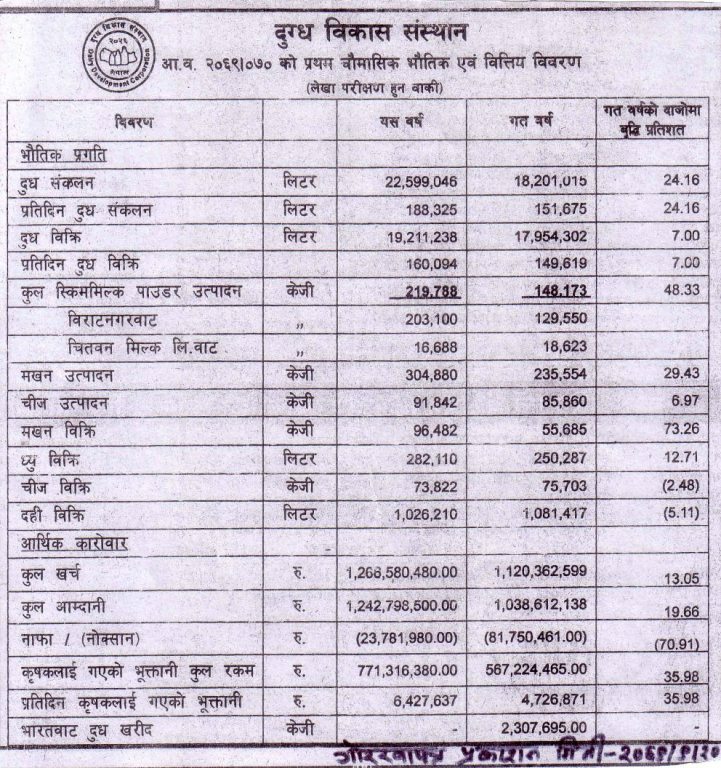 27 (2) of Public Procurement Act, 2063, this is to notify all the concerned Bidder that Dairy Development Corporation has intended to accept the tender of M/s Uma Converter Pvt. Ltd., Ahmedabad, India to supply and delivery of 300 M. Ton Polythylene Film @ CIF Site delivery price IRs. 107/- and Clearing, Forwarding and Transportation Charges IRs.15/- per kg. 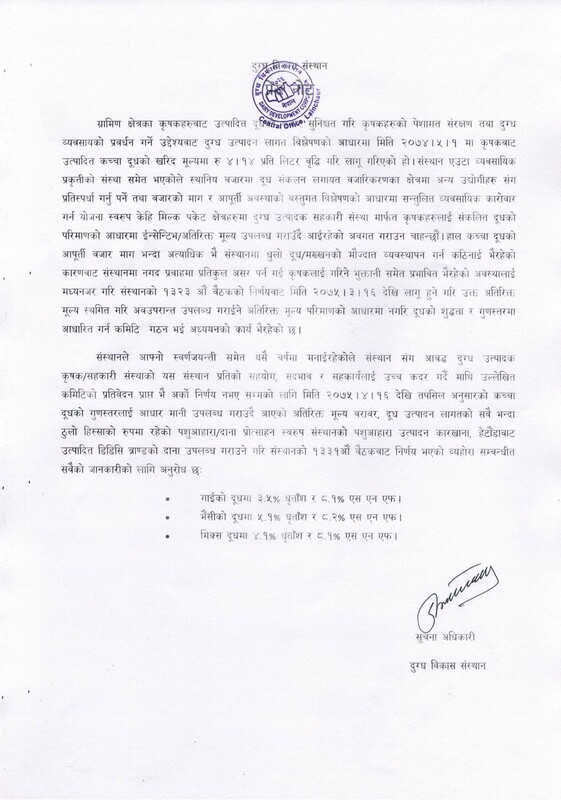 against our tender notice no.DDC/13/Poly/069/070 which was published on 18 December 2012 in The Rising Nepal.